KATHERINE LEGGE’S BEST SERIES START / FINISH: Won Round 2 in Mexico City from pole. Led every lap to become the first female to win on an ABB Formula E weekend. 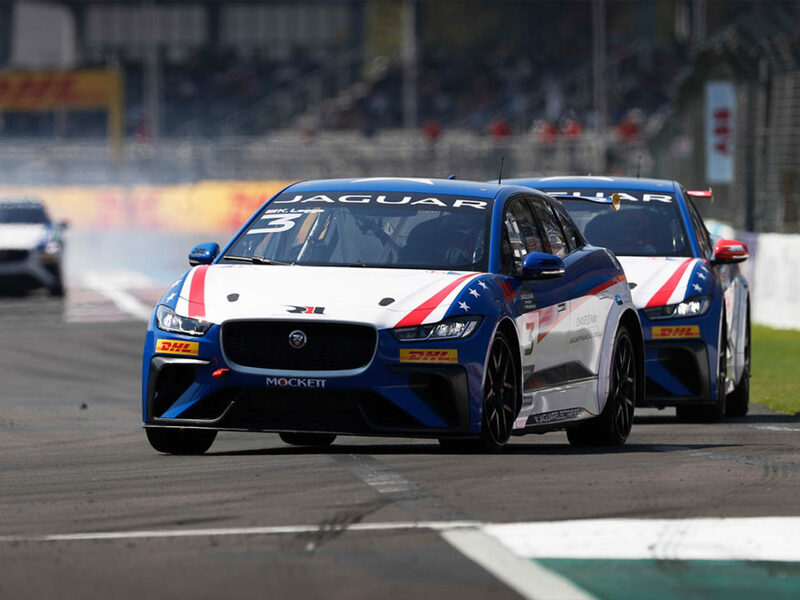 Round 4 of the Jaguar I-PACE eTROPHY will mark the team’s second race in China after having competed in – and won – in eTROPHY race in the Chinese special administrative region of Hong Kong two weeks ago with Bryan Sellers. The inaugural Sanya E-Prix will take place in mainland China in the city of Sanya on Hainan Island. The team’s two-car I-PACE program for drivers Katherine Legge and Bryan Sellers compliments long standing programs in the IndyCar Series and IMSA WeatherTech SportsCar Championship. The team is carrying momentum from two consecutive 1-2 finishes in Rounds 2 and 3 with wins in Mexico City by Legge and in Hong Kong by Sellers, while the other finished second. 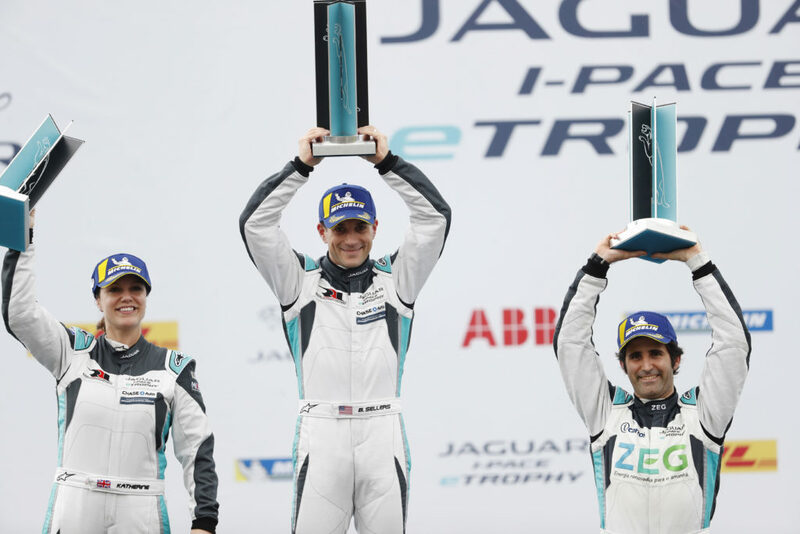 Sellers became the first American to win a race on an ABB FIA Formula E weekend when he drove to victory in Hong Kong. Scott Speed previously held the highest finishing position for an American when he finished second in Miami in Formula E Season 1 (2014/15). Sellers took the series points lead with 46 after his win in Hong Kong and is four points ahead of second place Legge, 42. Sergio Jimenez, who is third with 37 points, received a post-race penalty from Hong Kong which will see him drop two grid positions in Sanya due to late race contact with Simon Evans. In challenging track conditions due to varying amounts of rain, Sellers qualified second for the third consecutive time for Round 3. In the race, he held his position until Caca Bueno made a mistake a few laps into the race and drove into the wall off of the front straight in the tight turn which moved Sellers and Legge into first and second. 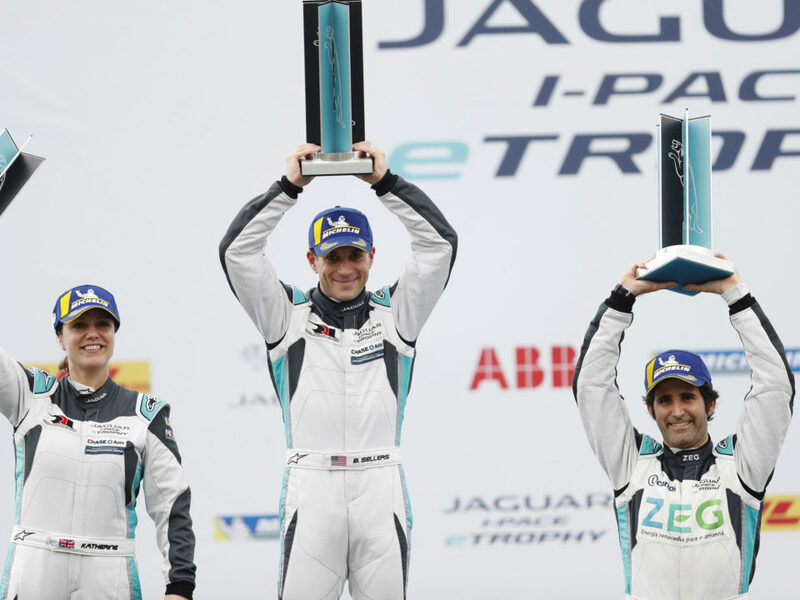 Sellers held the position for the rest of the race and took the checkered flag 3.369-seconds ahead of Legge to become the first American to win on an ABB Formula E weekend. In the first three rounds, Sellers finished third, second and now earned his first series win. He was the first American to win an electric car race. The challenging weather conditions contributed to Legge qualifying fifth for the race. On the start, she passed fourth place Stefan Rzadzinski and third place Simon Evans on the outside of the first turn on the opening lap and held her position behind teammate Sellers and race leader Caca Bueno. Once race leader Bueno made a mistake, Legge followed Sellers through to run 1-2. There were some challenges from behind but Legge held on to complete the second consecutive 1-2 finish for the team. It was discovered after the race that she had two slow leak punctures but fortunately was able to finish before that kept her from doing so. “I think we are constantly learning the new car and series package so I’m sure there are many things that we keep subconsciously programming or brains with,” said Legge. After Legge won the Mexico City race from pole over Sellers, Bobby Rahal commented that it would be great if the two drivers could trade out the top spot each race. When Sellers led a team one-two in Hong Kong, that came to fruition. Both drivers hope that if they can’t win the race, they can finish second to their teammate. The Jaguar I-PACE eTROPHY series schedule includes many bucket list locations around the world. Legge and Sellers are maximizing their trips to see local sights when possible. After returning from Hong Kong, both only had a few days to adjust to the 13 hour time change before getting on track in their respective IMSA GTD programs for the 12 Hours of Sebring on Saturday. They began their trek back to China on Monday. “Hong Kong is very cool and Bryan and I enjoyed exploring and learning the culture and customs. Sanya looks like a very cool coastal resort with beaches and hopefully we can enjoy some down time there. I deal with jetlag as best I can. Eating well and getting sleep on the plane is key,” said Legge. 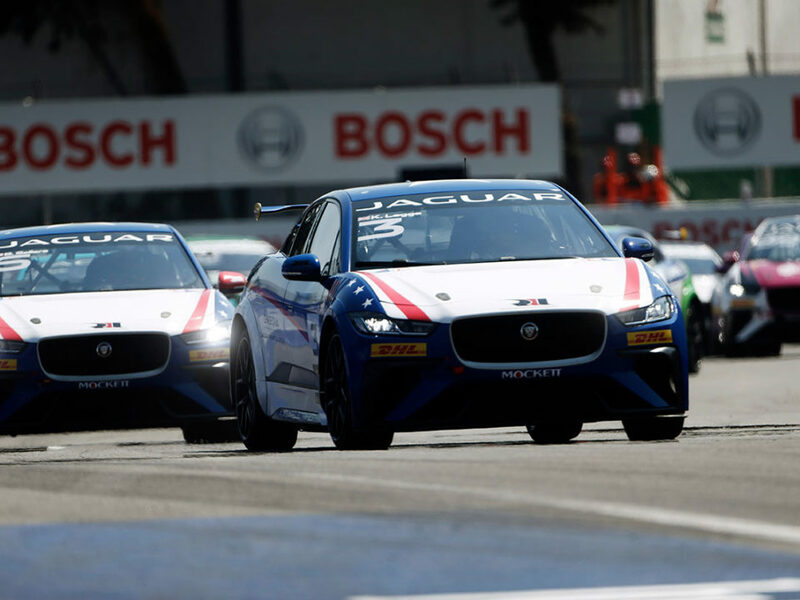 The Jaguar I-PACE eTROPHY is the official support race to ABB FIA Formula E from season five onwards. The championship, a world first, will take place over 10 rounds in nine global cities, with up to 20 entrants competing for a prize fund in excess of £500,000. 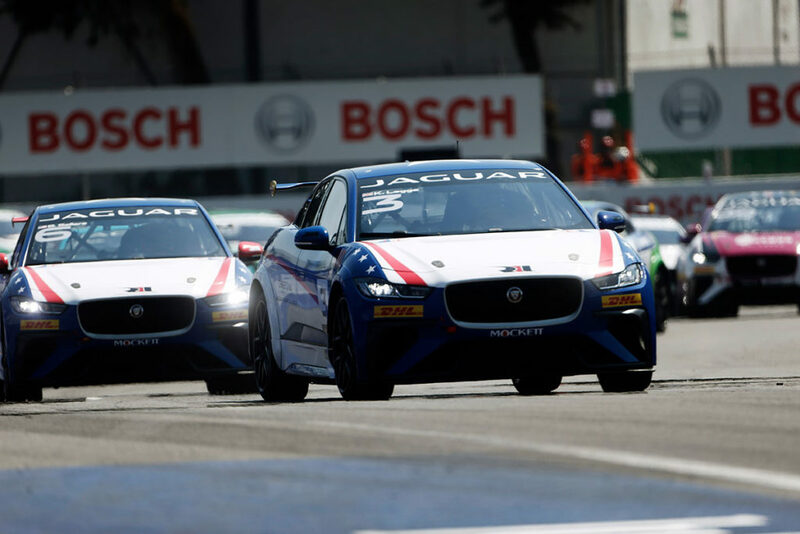 After becoming the first premium manufacturer to enter the ABB FIA Formula E Championship in 2016, Jaguar has now created the world’s first production battery electric vehicle race series – the Jaguar I-PACE eTROPHY. The history-making championship is the official support race to the ABB FIA Formula E Championship, with up to 20 cars taking to the grid from season five onwards. 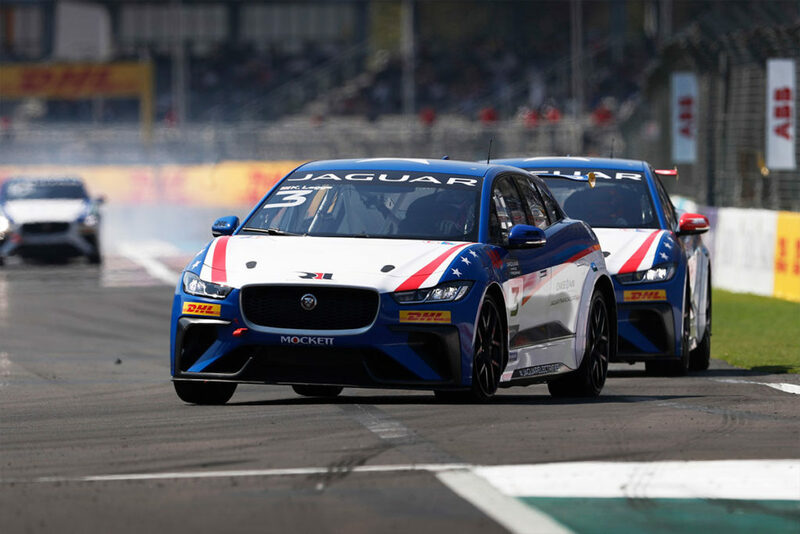 The series supports the launch of the Jaguar I-PACE, Jaguar’s first battery electric vehicle, and reinforces Jaguar Land Rover’s future electrification strategy, commitment to electric street racing and ‘Race to Innovate’ mission.